Read our helpful guide to second hand Mercedes R Class. MERCEDES-BENZ SL 420SL R107 MODEL 4.2 V8 AUTO. GREAT CLASSIC INVESTMENT. AA Cars works closely with thousands of UK used car dealers to bring you one of the largest selections of Mercedes R Class cars on the market. 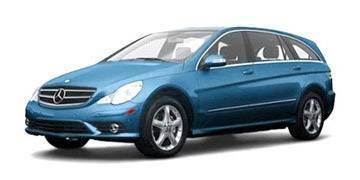 You can also browse Mercedes dealers to find a second hand car close to you today. All used Mercedes R Class on the AA Cars website come with free 12 months breakdown cover. Available with five or seven seats, the R-Class is the most spacious Mercedes-Benz ever produced. Launched in 2006, the luxury people mover combines aggressive SUV styling with the elegance of a saloon. Easy to drive and offering great visibility, the family friendly R-Class is packed with safety features to protect what matters to you the most.